Thousands of pounds worth of property has been damaged or stolen during a burglary at a new build in Lurgan. Police were called on Thursday to the property on Carrick Grove off the Banbridge Road. 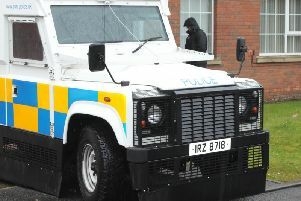 Craigavon PSNI said on Facebook: “Thousands of pounds worth of property was damaged or stolen, including a gas boiler, a double oven, a gas hob, a generator and a cast iron stove. “This was to be someones new home, and it now requires significant repairs and replacement. “This occurred between 5.30pm on Wednesday 2nd and 9am on Thursday. Whoever is responsible would have needed significant help (or is huge) and a large vehicle to remove everything.